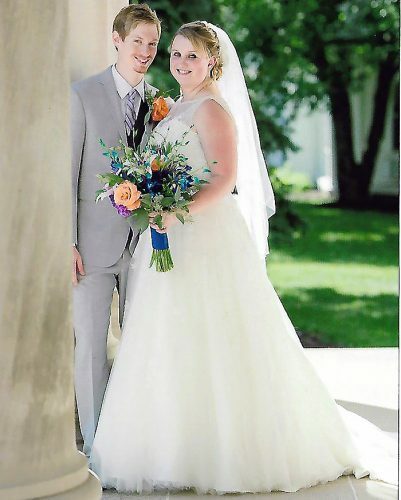 HOPEDALE – Emily Kaye Garlinger and Jeffrey Scott Chisnell II were united in marriage at 3:30 p.m. on May 18 at the Hopedale United Presbyterian Church. 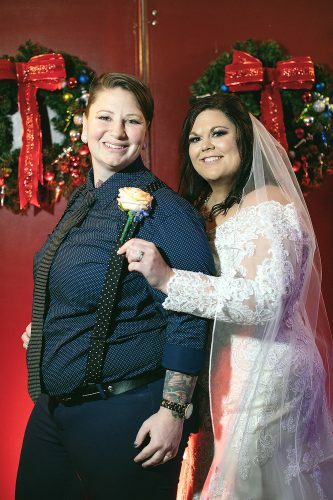 The ceremony was officiated by the Rev. Bill Westling. The bride is the daughter of Charles and Mary Carol Garlinger of Hopedale. The groom is the son of James and Michele Zolensky of Cadiz and the late Jeffrey Scott Chisnell. The bride was escorted to the altar by her father. 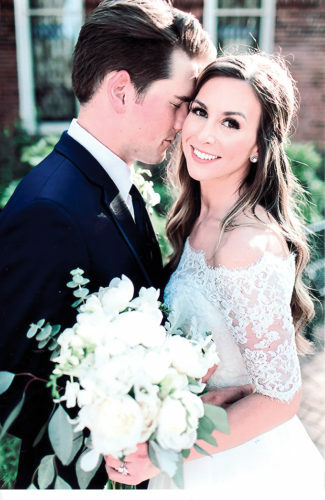 The bride wore a strapless, satin corset ball gown with beaded lace appliques. 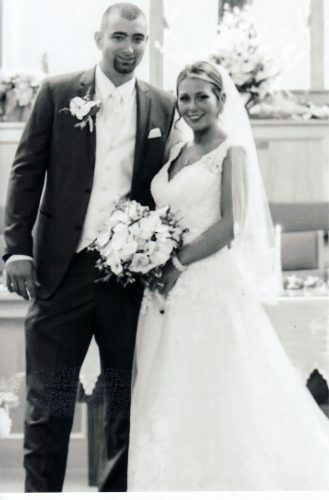 The maid of honor was Ashley Gillespie. Bridesmaids were Jessica Liggett; Amanda Taggart, sister of the groom; Brooke Masters; and Jennifer Garlinger, sister-in-law of the bride. The best man was John Blacker. Groomsmen were Robert Shamel, brother of the groom; Matt Ramsey, cousin of the groom; Kevin Ramsey, cousin of the groom; and Andrew Garlinger, brother of the bride. A reception was held at the Wallace Lodge at Sally Buffalo Park in Cadiz. 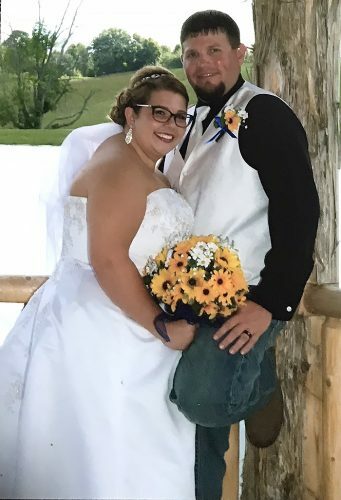 The bride is a 2009 graduate of Harrison Central High School and a 2013 graduate of Eastern Gateway Community College with an associate degree of science. She is continuing her education in the radiology program at EGCC. The groom is a 2007 graduate of Harrison Central High School. He is employed at Century Mine in Beallsville, Ohio. The couple plan to honeymoon in the summer. They live in Hopedale.